Online crowdfunding platforms such as Kickstarter, and Australian-owned Pozible have allowed a myriad of photographic related projects and products to come to fruition. Increasingly, small businesses, entrepreneurs and everyday individuals are turning to crowdfunding to see how much demand can be garnered for what would generally be considered a risky business endeavour. And of course the platforms also remove one of the trickiest barriers of entry into the market for the little guy – finding the funding. The moment of truth – and it can sometimes be a long ‘moment’ indeed – is delivering on the promises listed in the project outline. Some professionally handle the project and deliver the project cleanly, while others face a series of challenges they had not expected, or their lack of experience is exposed as they handle thousands and sometimes hundreds of thousands of dollars from people all over the world. There are 15 different project categories on Kickstarter, ranging from Art, Technology, Games, Food, and of course, Photography. Within the Photography category, at the time of writing, there are 5376 active projects seeking funding for things like photo books, exhibitions tours, photographic accessories, and DIY camera kits. Pozible is quite similar to Kickstarter, but it attracts many local artists attempting to fund creative photographic projects. Browsing through the various creative projects and ideas can be inspiring, especially when so many are formulated by Australian artists! An example of a recently-funded photo book is Chicago photographer, Richard Renadi’s, Touching Strangers. Richard took to Kickstarter to successfully fund the book where, as the title suggests, strangers make physical contact and Richard captures it. The campaign raised US$80,000 – eight times its goal – which allowed the printing company, Aperture, to ‘doubled their estimated print run’. A local example is Melbourne-based fashion and beauty photographer, Jack Salkze, successfully finding funding of $2830 for a photo book entitled This is Real Beauty: The Camera Doesn’t Lie last month. His project is to photograph 100 different models wearing no make-up and not using any Photoshop – only studio lighting and ‘simple black and white conversion’. A straightforward idea that has captured the minds of 42 ‘backers’ online. One of the most internationally successful funded projects, recently ended, was New55 Film, a ‘black and white peel apart film that has both a positive and negative image’, based on Polaroids’ long-discontinued Type 55 Film. The project funded US$415,000 with 2475 backers and the final product is estimated to be shipped by January 15, 2015. Some other interesting photographic projects that have been funded include the ‘Pixelstick‘ – a stick with RGB LEDs that can read a Photoshop image and displays each pixel while in motion, which is ideally used for long-exposure photography and time-lapse photography. It raised almost six times its funding goal of US$100,000. Another project is the ‘swivelCard’ – basically a paper business card that is also a USB stick, which photographers upload their portfolio onto and impress potential clients. It may be a gimmick, but it has funded US$73,000 of its $10,000 goal with 22 days to go. That’s some serious demand. Talking of gimmicks and demand, Zack Brown from Ohio ironically started a Kickstarter campaign to fund a ‘potato salad’. He was after $10 from backers, but after the project went viral he received US$55,492. Time Magazine said that Zack plans to throw a festival in his hometown and proceeds will go to feeding the homeless. For those unaware of how Kickstarter works, the platform allows anyone to independently create a project, set a funding goal and a deadline. The rules state that the project must be able to be shared with backers in some way, the creator must clearly present how the funding will be allocated and be honest throughout the whole process, and no fundraising is allowed for charities or prohibited items. Those who stumble upon a project they find interesting can ‘back’ it by ‘pledging’ money to ‘bring projects to life’. Typically, a creator sets different rewards for funding – the more a backer pledges the better the reward, whether it be a mention in a photobook, a limited edition copy of a photobook, or five nights in Vienna (that costs US$5000, though!). If a project does not meet the funding requirement by the deadline, all funding is refunded to the backers and the project is scrapped. Any extra money from overfunding a project still goes to the creator, who may now have more backers to reward than initially anticipated. It also can allow a better end result with high-grade materials and also allows a creator to receive a better profit margin. Kickstarter isn’t likely to complain either, taking a 5 percent cut from every successfully funded project. And it is entirely up to the backers to be able to smell a scam and avoid being conned. Every now and then a fraudster comes along and sets up a project to rort unknowing backers. When enough flags are raised, however, Kickstarter will suspend the funding – but that is rare. 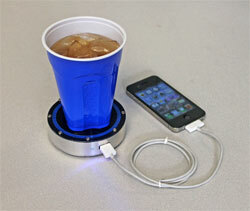 A company called Epiphany Labs, headed by Tommy Joseph from Pittsburgh, Pennsylvania, successfully funded US$132,000 for a phone charger which is powered by hot and cold temperatures, such as a hot mug of coffee or an ice cold beer. While it is unclear whether Tommy Joseph has run off with cash or not, he has not communicated with backers since March, when he was telling them to stop hassling him about shipping, that he is negotiating with ‘some massive investors’, and revealing any information could risk the ‘patentability’ of the product. Comments continue to be left by backers on the March update, all of which are querying the project’s authenticity. The project was due to ship by March this year, and Tommy’s lack of communication has most backers concerned about where their money has gone. But who’s to say that Tommy isn’t just a terrible business person or incredibly disorganised – like most Kickstarter creators? A study by The Wharton School in 2012 showed that 75 percent of campaigns missed the shipping date and usually by a large margin. Back in September 2012, a company called Design to Matter successfully funded US$621,000 for the ‘Instacube’: A digital photo album that can connect via Wi-Fi to live stream an Instagram feed. The estimated delivery time was October 2012, but the project was a complete disaster. 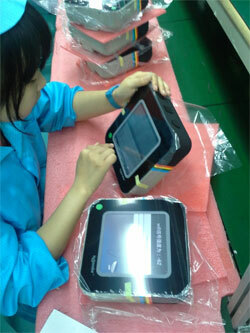 The project continually faced challenges from creating the prototype to mass manufacture. Savannah Peterson was working with Design to Matter and offered monthly updates as the project slowly etched forward. The Instacube is currently still in the shipping process, and disgruntled backers are being drip-fed their rewards, having waited almost two years longer than promised. Some have said that they don’t even use Instagram anyone. While Savannah had the best intentions, her ignorance of how to pull off a project like this lead to accusations that she had fraudulently run off with the cash. Fortunately, there is plenty of legitimate crowdfunding happening within the photographic industry. Lomography, a ‘globally active organisation’ that manufactures analog cameras, films and accessories has successfully funded three projects. Because analog is quite a lively niche market, crowdfunding allows the company to directly connect with those interested in what products they may produce. The three funded projects are: The ‘Smartphone Film Scanner’, which allows smartphones to scan 35mm stills to the phone’s memory; the ‘Lomo’Instant’, an instant analog camera that raised US$1,118,333; and the ‘Lomography Petzval Portrait Lens’, a Russian-made 85mm lens based on the 19th century Petzval lens. The latter received a whopping US$1,396,149 in funding, of which US$69,807 will go to Kickstarter. 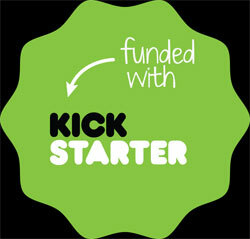 Kickstarter boasts that is has funded over US$1 billion for over 67,000 projects since it began in 2009. It is astounding how much money is being contributed to various creative projects around the world, and while there are a few horror stories, the photographic industry – particularly smaller players with good ideas and bad bank balances – appear to continually benefit from the platform. This entry was posted in Deck left, Research by Keith Shipton. Bookmark the permalink.